BPA members attending the trade association’s AGM, which took place in central London on 18th June, not only received an industry update, but also gleaned important information on a number of pertinent subjects as well as the opportunity to network. Roope Aaltonen is an international trade advisor for the UK Trade & Investment’s south east region and explained the service and support provided by the government organisation. Many companies are unaware that the UKTI’s service is generally free of charge, or heavily subsidised, offering confidential support to help get British companies exporting. 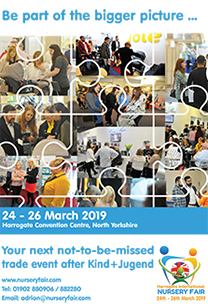 This can be anything from market research into new sectors, finding relevant contacts such as agents and distributors in other countries and helping to put together successful export plans. Sara Ludlam, senior associate at law firm Lupton Fawcett Denison Till, gave a clear distinction between appointing a sales agent or distributor and the pros and cons of each relationship. It was an eye-opening revelation that whatever is written in a contract between a company and sales agent can be legally overturned according to European law and the importance of including terms of final payment when the relationship ends. For companies exporting, Sara also explained that agent contracts signed in the UK may not be applicable overseas and recommended companies seeking legal advice in those countries. Finally, Vince Shiers of RQA Group discussed unexpected scenarios that could suddenly change a company’s fortune if not handled quickly and effectively and the risks that social media can pose to business reputation. He gave examples of a Canadian barbeque manufacturer that had inadvertently produced a product with components which melted when hot; and a pizza company whose reputation was slated by a YouTube prank by its employees. Vince explained the importance of identifying all potential risks, preparing an effective response plan and empowering a dedicated team with the skills to deal with all eventualities. Luke Burns, retiring BPA chairman, gave an overview of the trade association’s activities over the last year including important ongoing work with the Department for Business Innovation & Skills (BIS); involvement with the European Nursery Products Confederation (ENPC); and participation in worldwide events with its UK Pavilions. 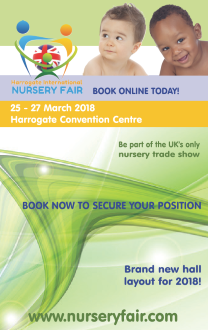 He explained that the BPA has experienced a 28% increase in membership in the last four years primarily due to its co-operation with international trade shows and Harrogate International Nursery Fair, all of which offer added value to members. Luke also welcomed the new BPA committee – Jonathan Feingold of CuddleCo Ltd as chairperson; Daniel Lucas of BabaSlings Ltd as vice chairperson and Andrew Ratcliffe of Dorel UK Ltd as treasurer.